Another year, another NHL Youth Cup championship for the Little Caesars ’07 boys. Two different Little Caesars clubs – representing the Detroit Red Wings – won their brackets at the tournament; it was the second year in a row for the ’07 group. The 2018 edition of the NHL Youth Cup, which featured youth teams representing their parent NHL organizations, took place in New York this past weekend. 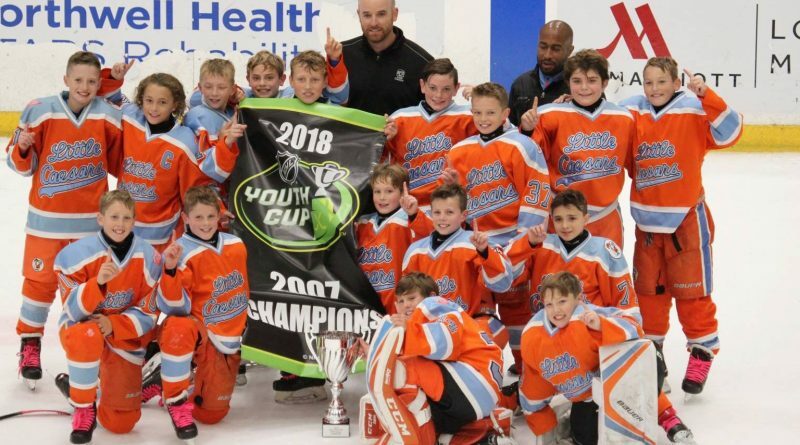 The ’07 LC club found revenge in Long Island; they beat the host Jr. Islanders – the only team to beat them in the preliminary round – by tying up the championship game in the third period and winning 3-2 in overtime. The 2005 birth-year Little Caesars club won their division, as well. They beat Carolina, Washington, New York (Islanders), and Columbus by a combined total of 27-5 en route to a championship game victory over New Jersey.